Learning & Behavior Strategies An Alabama Mom Talks About Her Homeschooling Experience! An Alabama Mom Talks About Her Homeschooling Experience! Due to my curiosity and my desire to fill in others about the process, I went in search of parents who homeschool, so I could interview them about how it all works. Two wonderful, dedicated, and generous moms agreed to participate. 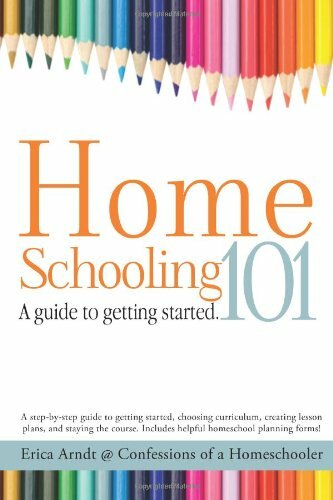 I have already shared the interview with my Florida mom, Janet Sedano, entitled How Does Homeschooling Really Work? An In Depth Interview with a Florida Mom! Below is the interview with my Alabama mom, Linda Warren. 2. How long have you been home schooling? We have been homeschooling since January 2007, so approaching 8 years. 3.What grade is your child (or children) in? My daughter is in 9th grade currently. It was like the perfect storm. I did not believe in homeschooling at all. My daughter had a rough year in kindergarten, and it took until after spring break for her to become engaged in learning. Since I had her engaged, we didn’t stop schooling over the summer, and completed all of first grade work before the official start of school for first grade. Once school started my daughter was bored, misbehaved, and had really low self-esteem. She even told me that they must think she was the stupidest kid on the planet and she should just die. Those are heart breaking words to hear from a 6 year old. I talked to the teacher and tried to get them to let her do some older work, but the school told me that they would not let her do any advanced work because they were pretty sure they were going to hold her back because she was emotionally immature. This was in October. Additionally, my daughter was sick with every respiratory and intestinal illness that came down the pike, and missed a lot of days of school. Her behavior in school was on a steady downhill slide. By November they told me that we had two choices, for the principal to paddle her (she was six! he was easily over 6 feet tall) or they could suspend her. We had also been reported for missing too many days of school (because of illness). There were several other incidents that pushed me toward homeschooling, including 2 school lock-downs, a bullying incident that required a doctor’s visit by my daughter, and an increased belief that my daughter was ADHD. I just felt like this was a no win situation, and turned to the thing I never thought I would, homeschooling. My daughter went to public school, and honestly, everything is better about homeschooling. We tailor-make her educational experience for her, and move at her pace. Sometimes she is as much as 2-3 grades ahead in science, and maybe 2 grades behind in social studies. But she catches up, slows down, and learns at her own pace. Her self-esteem is great; her vocabulary is wonderful, she stands up for those who are bullied or down-trodden. Most of the things I miss are the negatives. I miss the daily drama, I miss getting up early, I miss sitting in carpool lines, I miss peer pressure. I miss the constant notes home regarding behavior, the fussing that revolved around the poor conduct grades, and the chaos that surrounded the whole process. Understand that some of that still exists at home, homeschooling is not a fix-all solution, but it certainly helps. Homeschooling for us looks like this: We use Time4Learning.net as our core curriculum and have since we began homeschooling. It is an online curriculum, accessible anywhere you have a computer and internet connection. It is considered a paperless curriculum so there are not a lot of books or workbooks. We access what we need when we need it online. We have also used Time4Writing for a high school writing course. This is also online, with a live teacher. The two adults in the household have a total of three college degrees and so we are able to answer most high school questions she might have. If we are unable to answer a question my daughter might have we are willing to turn to the internet for either options for us to learn a different way to teach the topic, or for her to access other ways to learn a topic. We also have an extensive home library, so there are plenty of books to turn to also. I also belong to or moderate a number of homeschooling forums so there is always a pool of homeschooling parents to turn to for answers. We also belong to a homeschool group and co-op where I could seek out other homeschooling parents to help if need be. The materials I use for the core instruction are not free; T4L is $30 per month for 4 courses (math, science, social studies, and English). We supplement with foreign language (DuoLingo-free currently), music (consisting of piano lessons which I pay for, and concert choir which has a small yearly fee), PE consists of horseback riding lessons (which I pay for), and art lessons which are low cost in exchange for parent service hours at our homeschool co-op. We are not required to take state assessments, and so have not taken any tests like that. She is tested within courses by chapter tests and written papers. My daughter has taken practice GED tests online, just to test skills, and will begin to prep for the ACT tests this year. Our co-op offers a class for ACT prep that she will take in the spring. She attends church activities for youth; she participates in homeschool social activities such as park days, swimming, and skating. Park days are through the local park service, swimming is at a community pool which is also part of the local parks system, and skating at a public skating rink. She attends two specific homeschooling activities per week, co-op (hosted at one church, though not religious in nature) and concert choir (hosted at another church), before and after the classes are socializing opportunities. She attends field trips with other homeschoolers, usually 1 or 2 per month, location depends on the fieldtrip. In the past she has also attended 4-H, taekwondo, archery, group horseback riding lessons, horse shows, and group guitar lessons. 12. How are your child’s cooperation, motivation, and participation when you are working with him/her? On a scale from 1 to 10 please rate (separately) your child’s cooperation, motivation, and participation. This one is a bit difficult for me to answer. On good days, I would give cooperation an 8, motivation a 7, and participation an 8.5. On bad days, those scores might drop to 3-4. As a general rule, we have more good days than bad. She consistently runs a 90% or higher average. On her Time4Writing course, graded by an outside teacher, she had a 99.63% average. She has not had any score below about 85. The only exception to this was when she was in public school. In 1st grade she asked the teacher if the busy work was for credit. The teacher explained that it was not for credit. My daughter explained that if it was not important enough for the teacher to grade, then it was not important enough for her to do. The teacher sent the work home with a grade of zero and a note explaining the refusal. I’m not sure if these things are considered special needs for the purpose of your question. My daughter has ADHD with impulsivity, is gifted, and has a sleep disorder associated with ADHD, she additionally has migraine headaches with auras. Because of the ADHD and I suspect also because of the giftedness, she does not like to repeat. If she has read the information or otherwise had it presented, she does not want to practice it, or do the same material in a different way. Generally, if it has been presented, she has it. So we do not do lots of practice math problems, we never did penmanship exercises, and do not do copy work. Because of the sleep disorder, some days she gets up early, some nights she doesn’t sleep at all, so getting up is much more difficult for her. We try to keep as steady a schedule of bedtimes and get up times as possible but some days are just not going to be good for formal learning, and on those days I allow her to do self-directed learning. She can pick a subject and research to her heart’s content. To double check that learning is actually occurring on those days, I ask her to “teach” me what she learned. If she can successfully teach what she researched we count it as learning. Examples of topics include: volcanos and earthquakes, hurricanes, equine management, retraining Western Pleasure horses in classical English Dressage, the mechanics of horse bits, black holes, dark matter, JSBach, Baroque music, Baroque horses, pipe organs, and writing code for MineCraft. We also use adaptive technologies like voice recognition software so that she can dictate her written assignments while keeping her hands busy with other things like art. Much of her “reading” is done by listening to audio books because she feels like it is too restricting to have to sit had “only read” when she could do two or more things at a time, such as listen to a book, and ride the horse, or do art. She does not like to be still, or be quiet. I know that these two things would make her disruptive in a traditional classroom. She also has very little patience for people who don’t get things as quickly as she does. One of her favorite phrases is, “Keep up, Mama!” By adapting her homeschool to work specifically for her, I feel like she is getting the most out of her educational experience.